Until the late 1950s, Havana had a daily plane from Miami, many of the passengers heading for the show at the Tropicana, its stage and bars built up into the trees, its roof the open sky. A by-word for the kind of louche glamour that was not much available in the US at the time, the liquor flowed, the dancers were beautiful, the costumes scant. Today, the Tropicana is still going strong, the Cuba Libre (rum, cola, fresh lime juice) flows appropriately freely and the costumes are just as extravagant (at the Tropicana, Carmen Miranda lives). In fact, it’s not so very different from 1958 when Graham Greene painted its portrait in Our Man in Havana. The Tropicana, though, is one of the last remnants of the days when Cuba was America’s playground, the other being the gas-guzzling cars of the Fifties and earlier that are now a national icon and a tourist attraction in their own right. Havana was the only port where we spent two days and I could have happily spent longer. There’s a lot to discover. The island has some of the best beaches in the Caribbean (mainly empty), the second biggest coral reef in the world, prices are low, the people are friendly and there is an extravagance in its character that goes way beyond the giant cigars and pink Cadillacs. 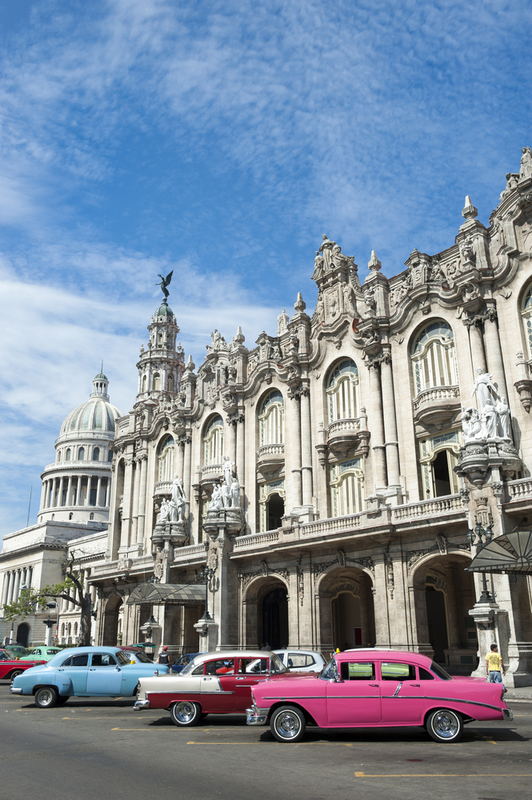 On the streets of Havana, retro cool meets communist principles in many surprising ways. Old men puff on their fat cigars sitting on their street corner stools and the sounds of the Buena Vista Social Club pour out of open windows. Graffiti extols the virtues of Cuba’s few friends – “Chavez el mejor amigo” (the president of Venezuela is Cuba’s best friend). The missiles from that long-ago crisis are still here, rusting away. 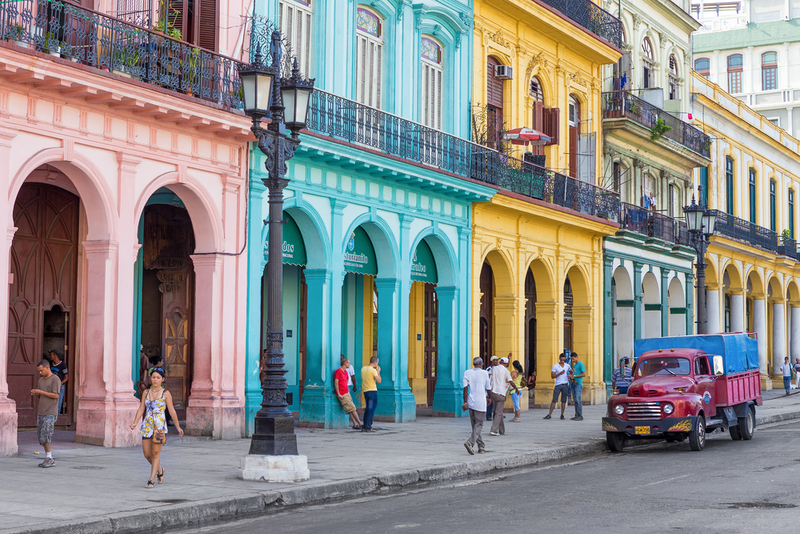 In this communist haven, no one wants to leave the crumbling slums of Havana Vieja (old Havana) because they know that slowly but surely the tourist dollar is on its way. In the cigar factories, staffed by reformed prostitutes, the workers listen to uplifting novels by Dickens read aloud for their moral improvement. And no, they don’t roll the tobacco on their thighs, sad to say. 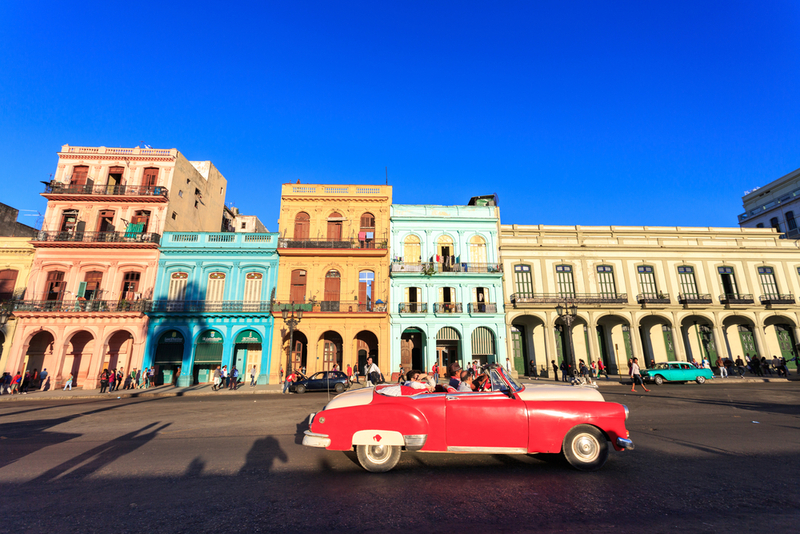 Oh yes, and it’s a good place to fall ill – Cuba claims to have the best doctors in the world. The beautiful Spanish colonial city of Havana has been falling down for decades but is slowly being renovated piecemeal – so a smart hotel stands next to something that looks more like a bombsite. Two minutes walk from the cruise ship is a lovely old square that is also an open-air book market – mostly old Communist treatises but with the odd copy of El Viejo y el Mar or The Old Man and the Sea, one of the books Hemingway wrote while he lived here, based on the captain of his fishing-boat. Hemingway is much celebrated here even now and his old house – Finca La Vigia or the “look-out” for its tower and sensational views – is still there to visit, looking as if the man himself had just stepped outside for a moment. His glasses lie next to the bed on a copy of “Sea Frontiers”, a collection of half empty liquor bottles stand on the table, family photos look out from beneath the glass top of his desk. Beyond the massive pool (now empty) is his 40ft boat, Pilar, used both for game fishing and tracking German submarines in the war. Hemingway was himself big buddies with Fidel and you’ll see photos of them together everywhere. And of course Che, whose unmistakable image follows you constantly from street art to T-shirts. The other thing you’ll see – and it’s not to be missed – is salsa. Whether it’s the professional version at the Tropicana, or people dancing in the bars and the squares of the old town or on the 8-kilometre long Malecon promenade facing the sea, the music (and the locals would say the Mojitos too) are in the blood. The Caribbean has a lot to offer beyond white beaches, warm seas and sun – though as an escape from a bleak northern winter, these are charms enough for many. 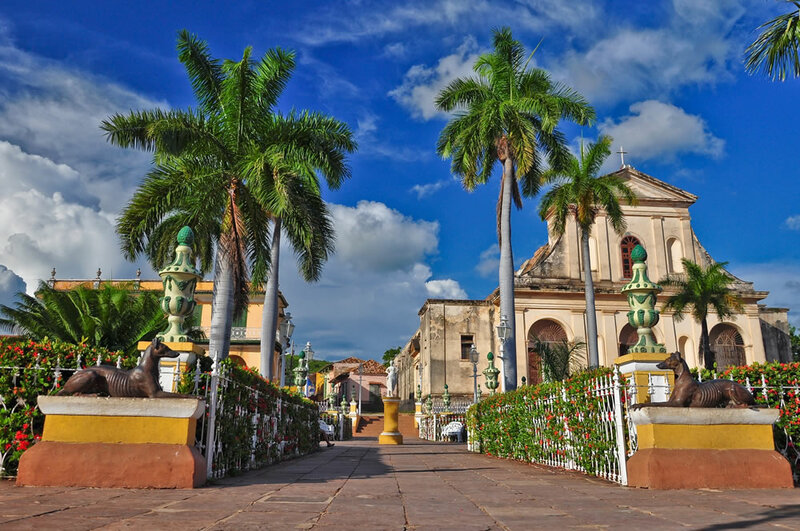 If you want to add extra spice to that tropical heat, though, Cuba’s Latin flavour just sizzles – very different from the laid-back atmosphere most of us expect in the Caribbean. But Cuba is going to be seeing many more tourists in the next few years – my advice is go now and get in ahead of the crowds.